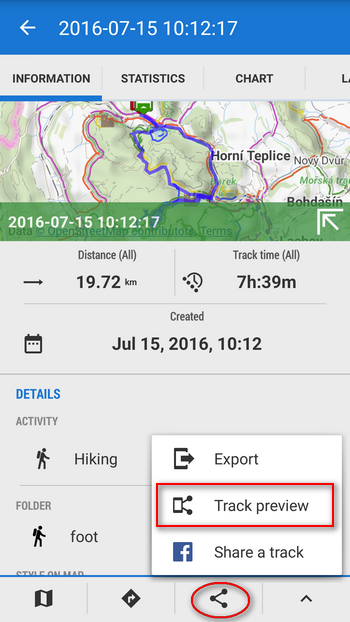 The new feature can be found in a new submenu “share” in the bottom bar of the track detail. 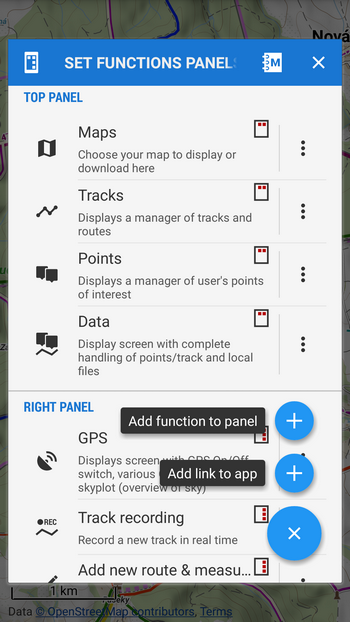 After tapping it you see the selection of apps, sharing methods and storage options you can use for further work with the map image. 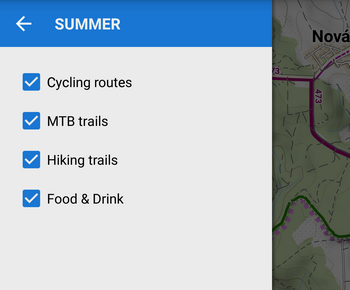 Our map magician Peter finally succeeded to solve the riddle of merging cycling and hiking themes in our LoMaps into one “summer” theme. 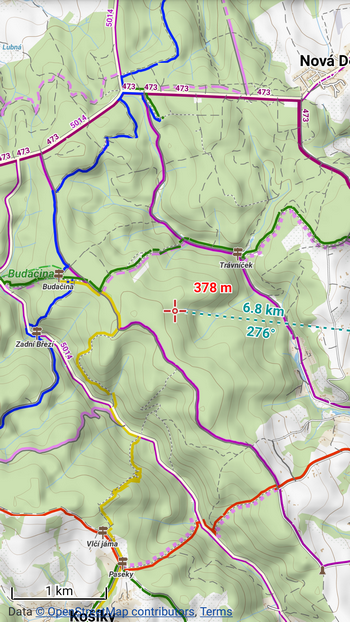 He bravely fought his battle with OpenStreetMap database which is the base of LoMaps and the result is really worth it. 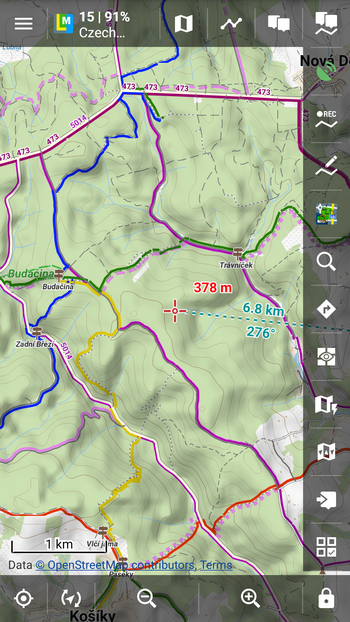 Especially MTB enthusiasts will now appreciate that they don’t have to switch between cycling and hiking themes to find out about the paths they need. 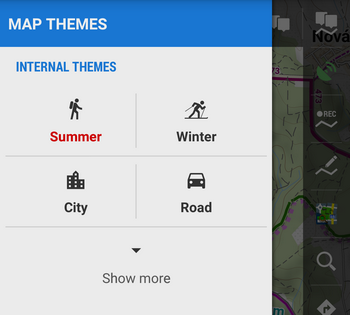 What’s more, you can tune the theme as you like and switch the layers you want to be displayed – cycling routes, MTB routes, hiking paths and food&drink. Have you heard about the right panel? All can be defined and adjusted according to your needs – buttons, their functions and order. Until recently it’s been possible only through the app settings, now just tap the “+” button in the upper right corner and you get into the panel settings directly. And if the “+” uselessly occupies a button position that you need for something else, you can remove it – it behaves the same way as other buttons. 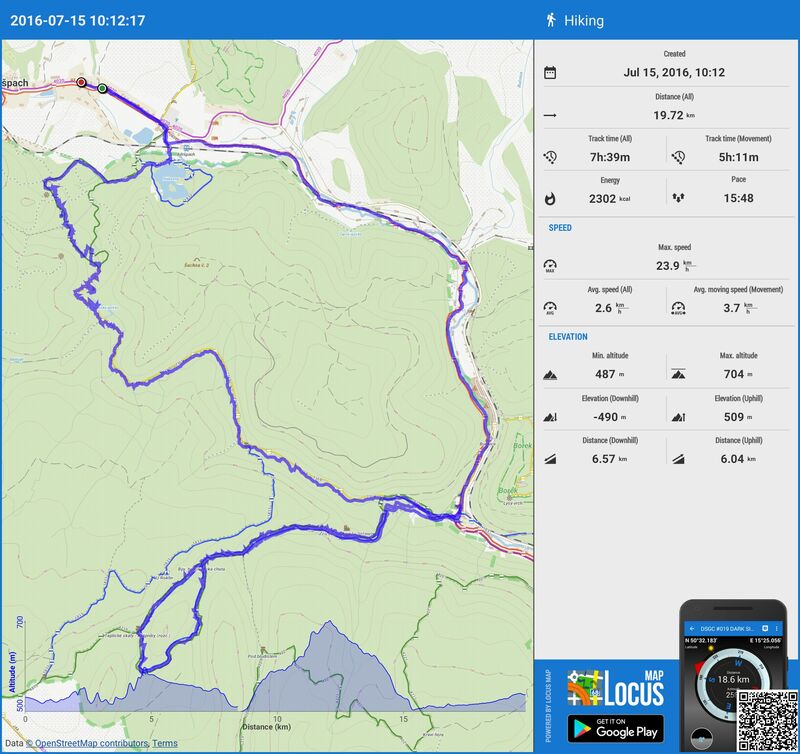 So, enjoy the summer with Locus to the full! Is it a bug that I cannot hide a Track from its context menu any more since some Version back? The hide Option is greyed out and I need to step into Track overview and use hide Option there which is a bit cumbersome. it looks like a bug but we can’t say where the bug is – we can’t simulate it, everything’s pretty normal – hide option in a track context menu work as it should. 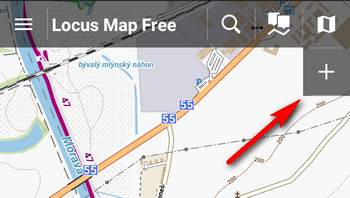 Place your inquiry on our helpdesk (help.locusmap.eu) and provide also some screenshots of the situation, we’ll see to it.